The ATTA’s Development Lead for Europe, Gergana Nikolova, was in Croatia earlier this summer, to experience the country’s adventure offerings. She shared her first impressions with the Association of Croatian Travel Agencies. This interview was originally published on the official web site of Association of Croatian Travel Agencies (UHPA) and is reprinted here with permission. 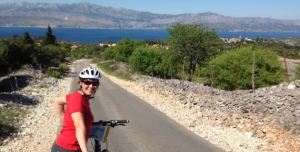 Gergana: As part of the trip – keeping in mind that we “barely scratched the surface”, we visited Brac and Hvar islands to experience biking and kayaking activities. Unequivocally, we can say that Croatia possesses ample cultural and nature-based assets, plus expertise in several key adventure activities areas, to be considered a high quality adventure tourism destination. We met with passionate local restaurant owners, creative managers of cozy and interesting sights such as the Olive museum in Brac, and the long-time owners of Meneghellos restaurant at Palmizana beach. After several days along the coast, we also visited Krka and Paklenica national parks with innovative entrepreneurs and guides from the parks. Everyone we’ve met with was very professional with solid ideas and quality products. 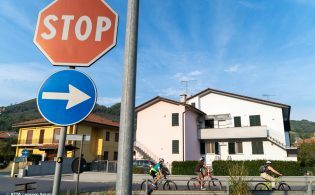 This is important and to keep building on what currently exists, we recommend educating further the ground providers and tour operators on the specific needs and expectations by the international buyers. As part of the AdventureConnect’s group exercises, we also did a brief Strengths, Weaknesses, Opportunities and Threats (SWOT) analysis; some of the identified challenges by the participants relate to missing infrastructure (ferries, restaurants, etc.) out of the peak season, non-professionals that search for ways of easy money and promote mass tourism, appropriate branding and promotion besides the known hubs, challenges in the legislation and lack of funding, lack of openness to partner with other organizations and companies, etc. Furthermore, opportunities remain in improving on quality and safety and risk management issues, language skills and other “soft skills” relating to the guiding experience. The highlighted opportunities for Croatia are the unspoiled nature, rich history, diversity of activities within a small area, geographical location and proximity to markets, etc. If the efforts are focused in the right direction and towards overcoming the challenges, having in mind the array of opportunities Croatia has, we believe Croatia can really be well positioned on this higher yield tourism industry. UHPA: What are the main reasons that you organized AdventureConnect in Split? What was on the agenda and are you satisfied with outcomes of your meeting? Gergana: For years, the ATTA has monitored a gradual, yet limited growth of ATTA members in Croatia. Over the past two years, some of the ATTA Members in Croatia have increasingly been more engaged with the ATTA and the broader global community – all this, while Croatia’s demonstrated more interest in nature-based/ecotourism pursuits, which has piqued the ATTA’s interest. In fact, during the Adventure Travel World Summit 2014, in Ireland we were approached by Ms. Iva Kulis, representing the Croatian Chamber of Commerce with a question on how could Croatia become a host of an upcoming Adventure Travel World Summit. To respond to this question, we explained the process that the ATTA takes when entering into a destination: we have a long-term plan with long-term sustainability goals. So, part of the process is to explore the potential of adventure travel in Croatia. After that, we should assess the readiness of the industry and a way to do this is by organizing an AdventureConnect. And this is what we did: more than 80 people registered for the AdventureConnect in Split and the meeting room was full. The participants were very active in a short community building exercise that we facilitated as part of the AdventureConnect. That showed the common challenges and opportunities that the industry sees and the readiness to act as a joint body to better position Croatia on the adventure travel map. We came to Croatia to back the momentum already under way within the adventure tourism supply chain to further build community and support Croatia’s vision for a responsible future in tourism. We are very satisfied with our one-week-visit and see it as just the beginning of a path that we can go together to help Croatia become a known adventure tourism destination knowing its potential. There are anticipated next steps in the process; we have already followed up with the Croatian Tourism Board on an opportunity to become more involved and visible through the ATTA. 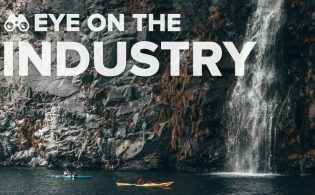 We also recommend some education to prepare the industry for hosting a potential Adventure Travel World Summit. UHPA: The theme for the Adventure Travel World Summit 2015 is “Viva la revolucion de la aventura”. City of Puerto Varas (Chile) will host over 700 industry professionals from around the world and number of prominent speakers. How does it help participants and exhibitors? Could you please let us know more about Summit agenda? 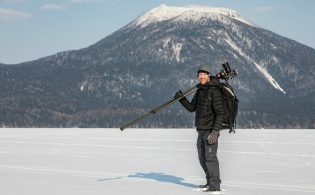 Gergana: The Adventure Travel World Summit is a once a year opportunity for adventure travel industry professionals around the globe to gather, network, learn and be inspired. 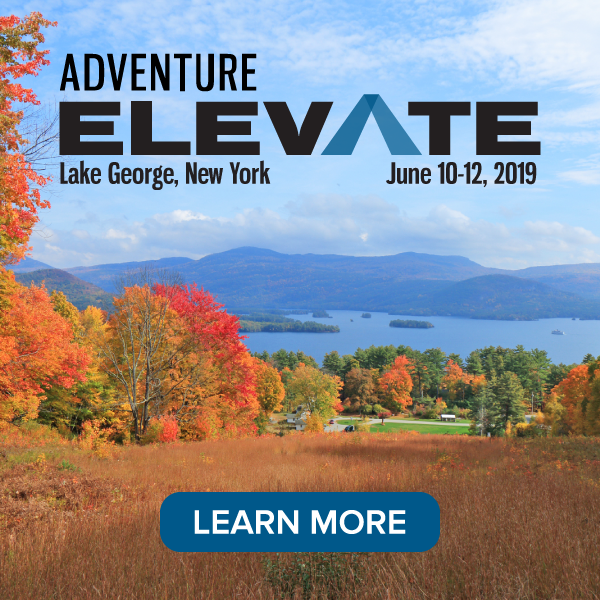 A series of keynotes and concurrent sessions will feature along with a MARKETPLACE and MediaConnect where networking and partnering through one-to-one interactions is encouraged. Delegates leave with an average of 13 strong networking connections that may lead to new partnerships or relationships within the industry that build strong networks. This year Summit speakers will include experts on Content Marketing, Behavioral Economics, Experience Design, Business Analytics, Influencers and the Media as well as inspirational and provocative speakers including Elizabeth Becker, author of Overbooked and Tim Martin, former ambassador of Canada to many nations. UHPA: What is your personal preferred adventure sport and destination? Gergana: For Chris Doyle, ATTA Executive Director-Europe, I’m a multi-sport, multi-adventure participant. So, my favorite part of adventure, is in fact, intimate cultural experiences, whether festivals, culinary, viticultural, archaeological, etc. I just get incredible emotional “adrenaline” when I’m learning about people – their past and present – from other lands. For adventure sport, I’m a long-distance runner and hiker, so anything related to that, really gets me interested. Further, I really enjoy sea kayaking and mountain biking, and there’s plenty of that in Croatia! For myself, I can say that anything that is related with outdoors is a joy for me. I am relatively new to the semi-hard adventures but every time I experience a new one, I get addicted. I have skied for over 15 years now and only this last winter I tried free ride and I am loving it already. Last week I tried also downhill mountain bike and also think I found a new hobby. Regarding destinations: each destination has its own sense of the place. Being in the travel industry is difficult to have a favorite destination but I need to say that I am proud to be from the Balkans. I love the region and believe with my entire heart and brain in its potential.